What do you do for influencers and what makes it exciting? As Awin's Influencer Marketing Consultant, I am part of the Publisher Management team in the UK so a significant portion of my role is dedicated to interacting with publishers directly and providing support. I also work on Awin's overall proposition regarding influencers with our business development team on a local and global level. On the day-to-day, I liaise with advertisers who are looking to invest in influencer marketing, plan out strategies with them and manage campaigns. I find this role exciting as influencer marketing is a new industry and I get to grow this within Awin. For our clients, working with Awin is exciting as well as reassuring, since they have a partner to execute influencer marketing alongside their strategies with other publisher types. I am championing the influencers’ interests within the network, securing exciting campaigns for them to work on and making sure they're compensated fairly. I’m the point of contact they reach out to. From a practical perspective, influencer marketing consists in advertising through digital publishers whose content is based around their own personal experiences and perspectives. They act primarily on social platforms such as Instagram, YouTube and blogs. However, not all social content falls under influencer marketing. For example, Travelettes is a travel blog with a primarily female audience but they wouldn't necessarily be considered an 'influencer' as they bring multiple contributors and perspectives; The Blonde Abroad on the other hand, is also a travel blog for a female audience but would be considered an influencer, as all content is based around the travels of its creator Kiersten Rich. The first definition of an influencer came from Brian Solis in 2012 with his report The Rise of Digital Influence, in which an influencer was defined as "someone of notable status and focus within a community who possesses the ability to cause effect, change behaviour and drive measurable outcomes online among those to whom they’re connected". A lot has changed since then, and in his updated report, Solis puts much more emphasis on 'influencer relationship management' so that this doesn't become another underperforming tool within a marketing budget, prioritising the personal perspective aspect to make it effective. What can Awin’s network do for influencers and can you name some of the successful collaborations you’ve worked on? Awin offers influencers the chance to foster direct relationships with brands, which wouldn't be the case if they chose to operate via a subnetwork, because on Awin clients can see their individual performance. We don't have strict acceptance policies in terms of follower counts or status (our acceptance process is centred around compliance and fraud checks), so even a small publisher starting out is already able to monetise their content. We also offer multiple payment models, from traditional commission on sales, to commission on leads, payment on influence (if they've assisted a sale but were not the last click) and fixed fee payments. We offer live support and education to our publishers -- they can speak to our team and solve problems in real-time as they navigate the Awin interface. I'd say the most successful collaborations I worked on in 2018 were those targeting audiences that are otherwise underserved by mainstream media and thus look to influencers who are more relatable to them. JD Williams used influencer marketing to target women aged 40 and above and achieved great success, as the majority of traditional fashion publications are obsessed with youth. Simply Be also achieved high engagement rates in a recent holiday partywear campaign, by bringing questions and feedback from their consumers to be 'solved' by the influencers in their posts. The plus-size segment is another example of women that is underserved by traditional media (although this is changing), and Simply Be was able to establish a direct line of dialogue between their customers' needs and the content they commissioned from influencers. What value can influencers bring to advertisers? Influencers are content creators and their strength is their personal connection to their audience which can make the marketing message more relatable. Influencers can be affiliates but that is not 100% of what they are. Adding affiliate marketing to influencer marketing is a really good fit to track the conversions and sales but without adding more KPIs to this, activity marketers will never see the true value of this type of publisher. It's important to remember that affiliate marketing is just one element of a brand's wider marketing ecosystem and that it's best if they work together. With consumers spending more time on social platforms, a brand's need for content has also scaled. By investing in influencers, advertisers receive the content creation, a personal endorsement and media placement, which makes it very cost-effective when compared to traditional advertising. What are your predictions for influencers in the future? Do you think they will continue promoting advertisers through affiliate networks or will they lose credibility due to fake followers, etc? Fraudulent activity has existed in all types of advertising, from programmatic to the affiliate channel. The industry has engaged in a lot of discussion around the use of bots in 2018, but we can't forget that other types of digital marketing have had less than wholesome practises too. This problem will be solved by tighter compliance practises and technology. There are now multiple companies and tools that advertisers can use and make sure they're doing proper vetting of influencers they hire. HypeAuditor even provides a free tool with a sample report. Service providers also know that this is important for clients and will have safety checks in place that can be discussed prior to a campaign, so I believe our industry is nearly ready to move past this discussion. Advertisers working with influencers within their affiliate program don't have as much cause for concern, as a bot follower doesn’t generate conversions. Influencers who have bought followers or likes are aware of this and know that they wouldn't thrive at Awin. On our managed campaign service, we also have checks in place. As for the future, influencer marketing will become a staple within marketing budgets in the same way that other practises such as paid social have now become standard as well, with more and more advertisers becoming ready to move from "testing budgets" to applying those learnings in a longer-term strategy. The industry will also have more well defined best-practises as it evolves, with disclosure compliance and regulation coming from entities such as the ASA but possibly also from the platforms such as Instagram and YouTube. Influencers themselves will become more refined and selective around sponsorship opportunities, but the landscape will also become saturated for those looking to start out. Ultimately, influencers who are not able to build complex businesses will become vulnerable to changes in the platforms, such as algorithms. A good content creator will be able to transition through the platforms and maintain their audience, with this personal connection to their followers being their most valuable asset. 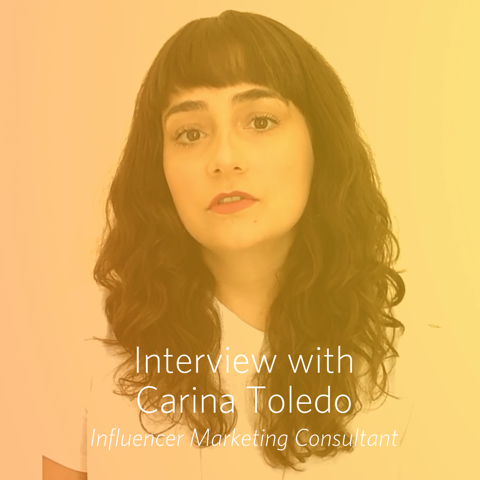 If you're an influencer or brand looking to find out more about influencer marketing at Awin, please contact Carina at carina.toledo@awin.com.